Paris during the Second World War was a dark city. The blackout imposed by the occupying German forces meant that lights had to be turned off, a shortage of petrol kept cars off the road, while a curfew kept most people off the streets at night. During the day, numerous regulations, censorship and propaganda, made the occupation increasingly unbearable. One of the few distractions available to the French citizens was the cinema, but the choice of what to see was limited. American films were banned, and aside from German productions which consisted mainly of imitations of Hollywood musical comedies and melodramatic propaganda movies, they only had access to the 200 odd French films that were produced during this four year period. These films, which had to be approved by the German censor, were, with a few exceptions, pale imitations of the great French cinema of Marcel Carne, Rene Clair, Marcel Pagnol, and Jean Renoir that had come before the war. To a generation of cinephiles like Andre Bazin, Alain Resnais and Eric Rohmer, who had grown up in the rich cinematic culture of the 1920’s and 30’s, this lack of choice added to the sense of loss they already felt as a consequence of the war. And it wasn’t just French films they missed, they could also no longer see the American genre films they loved: westerns, comedies and adventure films by directors such as Howard Hawks, Josef von Sternberg, Leo McCarey and Ernst Lubitsch. This experience of loss led them to prize freedom of expression and truth of representation above all else; values which would become central to their later work. For a younger generation born around 1930, who would later make up most of the directors of the New Wave, the cinema became the centre of their universe and a refuge from the harsh reality of the world outside. They were too young to know very much about the films that had come before the war, and had no reviews or criticism to guide them, but they instinctively cherished a handful of films made during the occupation like Lumiere d’ete (1943) by Jean Gremillon, Les Visiteurs du Soir (1943) by Carne and Prevert, Le Destin Fabuleux de Disiree Clary (1941) by Sacha Guitry, Goupi Mains Rouges (1943) by Jacques Becker, and above all, Le Corbeau (1943) by Henri-Georges Clouzot. 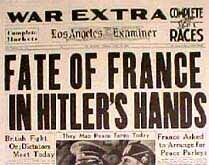 In 1944 France was liberated from German Occupation by the Allied forces. In the years that followed the Liberation, cinema become more popular than ever. French films such as Marcel Carne’s Les Enfants du paradise (1945) and Rene Clement’s La Bataille du Rail (1946) were a great success. Italian and British imports were also popular. 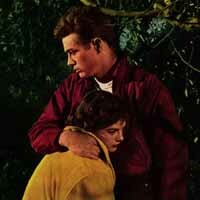 Most popular of all were the stockpile of films now streaming in from Hollywood. During the occupation the Nazis had banned the import of American films. As a result, after the war, when the ban was lifted by the 1946 Blum-Byrnes agreement, nearly a decade’s worth of missing films arrived in French cinemas in the space of a single year. It was a time of exciting discoveries for cine-philes eager to catch up with what had been happening in the rest of the world. The Liberation brought with it a great desire for self-expression, open communication and understanding. The discussion of film, inevitably, became part of the discourse. Journals, such as L’Ecran Francais, became a platform for writers like Andre Bazin to develop their theories and convey their enthusiasm for film. Bazin saw cinema as an art form, and one that deserved serious analysis. His interest was in the language of film – favouring the discussion of form over content. Such an attitude tended to bring him into conflict with the predominantly left wing writers at the paper, who were more concerned with the political standpoint of a film. Another writer at the magazine who shared Bazin’s sense of aesthetics was Alexandre Astruc. In 1948 he wrote an article titled “Birth of a New Avant-Garde: The Camera as Pen”, in which he argued for cinema, like literature, to become a more personal form, in which the camera literally became a pen in the hands of a director. The article would become something of a manifesto for the New Wave generation and a first step in the development of “auteur theory”. Another popular magazine amongst cinephiles was Le Revue du Cinema. This was a publication devoted to the arts and therefore much less concerned with politics and issues of social commitment. American cinema was discussed as much as European cinema and there were in depth studies of directors like D.W. Griffith, John Ford, Fritz Lang and Orson Welles. 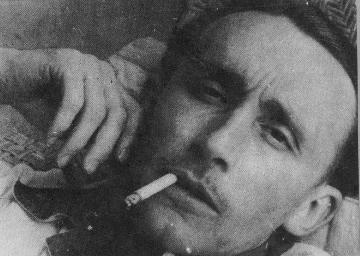 Andre Bazin contributed some important articles to the magazine on cinema technique, as did the young Eric Rohmer, whose piece, “Cinema, the art of Space” would have a lasting influence on the directors of the New Wave. Langlois believed the Cinematheque was a place for learning, not just watching, and he wanted his audience to really understand what they were seeing. It became his practice to screen films on the same evening, that were different in style, genre and country of origin. Sometimes he would show foreign films without translation or silent films without musical accompaniment. This approach, he hoped, would focus the audience attention on the techniques behind what they were watching, and the links connecting films that might otherwise appear very different. Alain Resnais, Jacques Rivette, Claude Chabrol, Roger Vadim, Pierre Kast, and others who would later become directors, received much of their film education at film clubs like the Cinematheque and The Cine-Club du Quartier Latin. For true cine-philes like these, watching films was only part of the experience. They would also collect stills and posters, read and discuss the latest film articles and make lists of favourite directors. It was all a way of putting what they were watching into some kind of perspective and developing their own critical viewpoints. Another avid member of the cine-club audience was Eric Rohmer. He had already published articles in other film journals, and now, with his two friends Jacques Rivette and Jean-Luc Godard, he set up his own review called La Gazette Du Cinema. Although the paper only had a small circulation, it was a means by which they could express their views on some of the films they were watching. Others like Truffaut and Resnais soon followed, writing articles for magazines like Arts and Les Amis du Cinema. The most important and popular film journal of all first appeared in 1951. Set up by Jacques Doniol-Valcroze and Andre Bazin out of the ashes of the La Revue du Cinema, which had closed down the previous year, it was called Les Cahiers du Cinema. The first issues of the review, with its distinctive yellow cover, featured the best critics of the time writing scholarly articles about film. However, it was with the arrival of a younger generation of critics, including Rohmer, Godard, Rivette, Claude Chabrol and Francois Truffaut, that the paper really began to make waves. Bazin had become something of a father figure to these young critics. 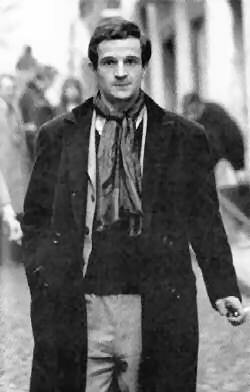 He was especially close to Truffaut, helping to secure his release from the young offenders institute where he was sent as a teenager, and later from the army prison where he was locked up for desertion. At first, Bazin and Doniol-Valcroze allowed the young cine-philes a small amount of column space to air their often combative opinions, but, in time, their articles gained more and more attention and their status rose accordingly. One thing these young writers shared was a disdain for the mainstream "tradition de qualite", which dominated French cinema at the time. In 1953, Truffaut wrote an essay for Cahiers entitled "A Certain Tendency of the French Cinema", in which he virulently denounced this tradition of adapting safe literary works, and filming them in the studio in an old fashioned and unimaginative way. This style of cinema wasn’t visual enough, Truffaut argued, and relied too much on the screenwriter. He and the others labelled it ‘cinema de papa’, and compared it unfavourably with the work of film-makers from elsewhere in the world. Bazin delayed the article’s release for a year, fearing they would lose readers and anger the film-makers who were being attacked. When it was eventually published it did cause offence but there was also considerable agreement. The passionate and irreverent style of Truffaut’s writing, like that of the other young critics, was a shift away from the hitherto austere tone of Cahiers. It brought the journal both a notoriety and popularity it hadn’t had before. Now he, Rohmer, Godard, Rivette, and Chabrol, were given the opportunity to promote their favourite directors within the review and develop their theories. Three German directors, Ernst Lubitsch, Fritz Lang and F.W. Murnau, were held in high esteem by the New Wave. Lubitsch’s sophisticated comedies were held up for their exemplary screenwriting and perfect dramatic construction. 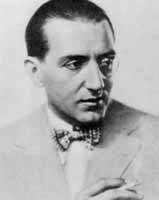 Lang, whose later American films were generally felt by most critics at the time to be inferior to his early masterpieces like Metropolis and M, was defended by the Cahiers critics who pointed out that the expressive mise-en-scene of his German films had been interiorized in the intense Film Noir dramas he was now making in Hollywood. These later films such as Clash By Night and The Big Heat, they argued, were every bit as complex as his earlier works. Murnau, the director of masterpieces like Nosferatu and Sunrise, although largely forgotten by contemporary critics, epitomised for the New Wave an artist who used every technique at his disposal to express himself filmically. They sung his praises in the pages of Cahiers, and helped to re-establish his reputation as a cinematic visionary. Another European influence on the New Wave was the Italian neo-realism movement. 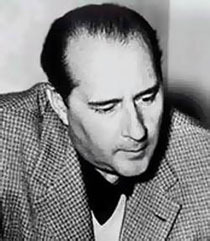 Directors like Roberto Rossellini (Rome, Open City) and Vittorio de Sica (The Bicycle Thieves) were going direct to the street for their inspiration, often using unprofessional actors in real locations. They cut the costs of filmmaking by using lighter, hand-held cameras, and post-synching sound. This approach enabled them to avoid studio interference and the demands of producers, resulting in more personal pictures. These lessons learnt from the neo-realists would prove a major factor in the success of the Nouvelle Vague ten years later. 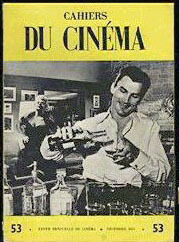 A number of American directors were also acclaimed in the pages of Cahiers du Cinema including not only well known directors like Orson Welles (Citizen Kane), Joseph L. Mankiewicz (The Barefoot Contessa) and Nicholas Ray (Rebel Without a Cause), but also lesser known B movie directors like Samuel Fuller (Shock Corridor) and Jacques Tourneur (Out of the Past). The Cahiers critics broke new ground when they wrote about these directors as they had never been taken so seriously before. They ignored the established hierarchy, focusing instead on the distinctive personal style and emotional truth they saw in these films. By contrast, contemporary French cinema was a major disappointment to the New Wave group. The year that followed the Liberation of France saw the release of some outstanding films including Marcel Carne’s Les Enfants du Paradise, Robert Bresson’s Les Dames du Bois de Boulogne, and Jacques Becker’s Falbalas. However, since then, complacency had set in. There was none of the frank honesty of Italian neo-realism. Instead, most of the films that dealt with the war and the Resistance seemed to be sentimentalized versions of what had really occured. It was clear that the majority of people, including most French filmmakers, were not yet ready to confront the shame of the Vichy government and the many who had collaborated with the Nazis during the war. In their articles, the young critics showed their disdain for the "tradition de qualite" prevalent at the time. Even directors who they had once admired like Henri-Georges Clouzot and Marcel Carne seemed now to have lost their ambition; content to play the studio game. Other directors with a more realistic style, such as Julien Duvivier, Henri Decoin and Jacques Sigurd, were equally disappointing; portraying a cynical view of contemporary society that was stylistically static and uninspired. For the New Wave cine-philes, who had expected so much after the war, it felt like a betrayal; and it explains why their attacks in print were often so vitriolic. However, there were some contemporary directors who made personal films outside the studio system like Jean Cocteau (Orphee), Jacques Tati (Mon Oncle), Robert Bresson (Journal d’un cure de campagne), and Jean-Pierre Melville (Le Silence De La Mer), who were much admired. Melville was a real maverick who worked in his own small studio and played by his own rules. His example would influence all of the New Wave and he is frequently cited as a part of the movement himself. At the same time, the Cahiers critics praised certain French directors of an earlier era like Jean Vigo (L’Atalante), Sacha Guitry (Quadrille), and most of all Jean Renoir (La Regle du Jeu), who was held up as the greatest of French auteurs.